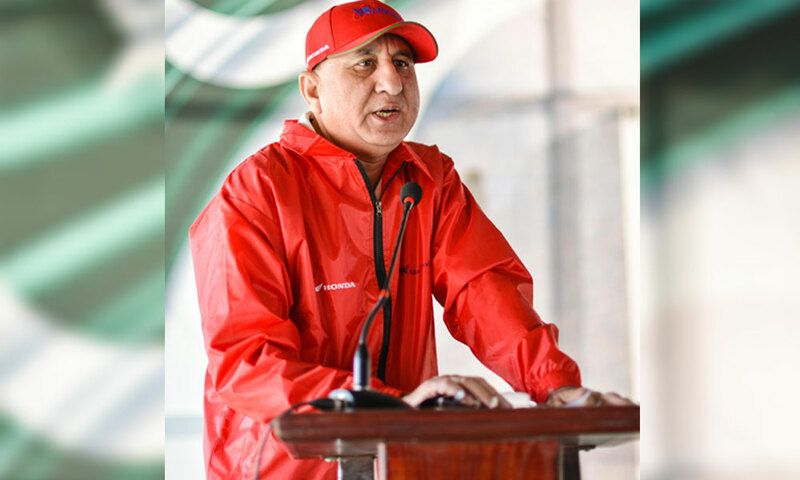 Atlas Honda successfully held its 2nd Road Safety Rally in Karachi on 25th December, 2016 at National Coaching Center, opposite National Stadium. 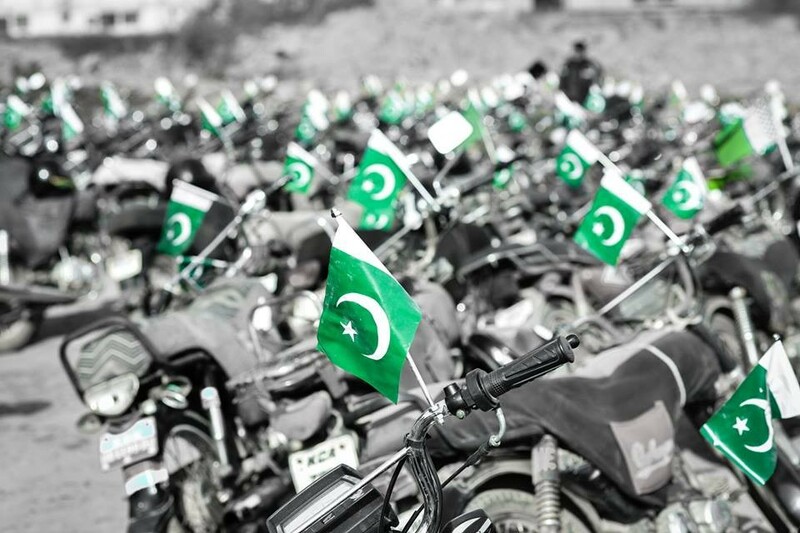 The purpose of the rally was to create safety awareness among motorcycle users. 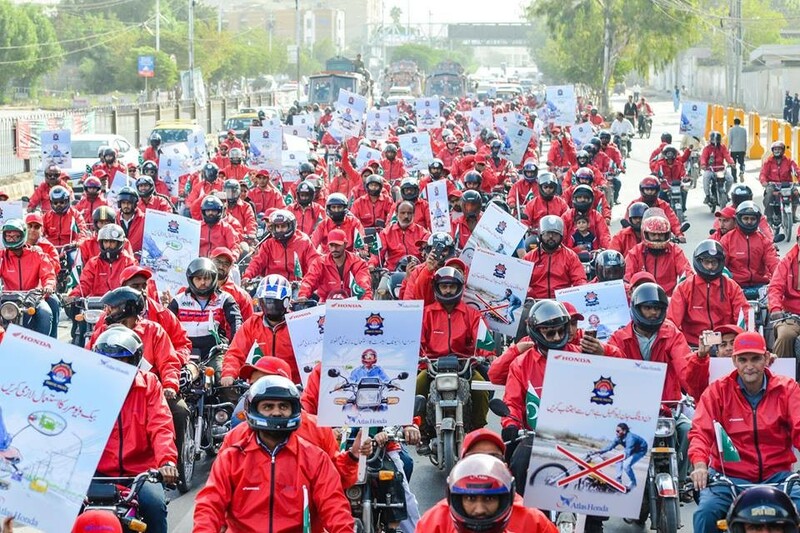 The roads of Karachi were covered under a sea of red color as almost 700 bike riders, all wearing Honda jackets, rode around the city of lights to spread the message of road safety. The company had successfully conducted this rally last year as well, however the participants this year were higher than 2015. The event is part of Atlas Honda’s continued efforts in educating masses about road safety. Registration for participating in the rally was done at the venue by Atlas Honda’s personnel. 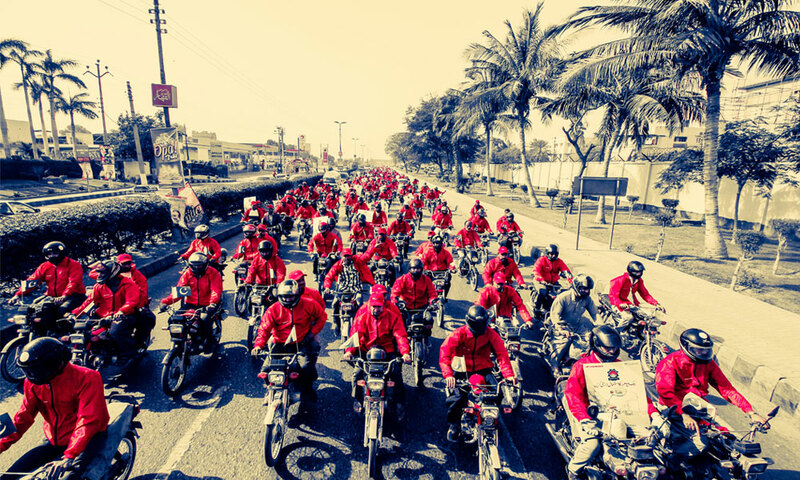 The registration requirements were: (a) Helmet, (b) CNIC, (c) Honda Motorbike and (d) Bike registration documents. Registration time started at 9:00 am and concluded at 10:30 am. 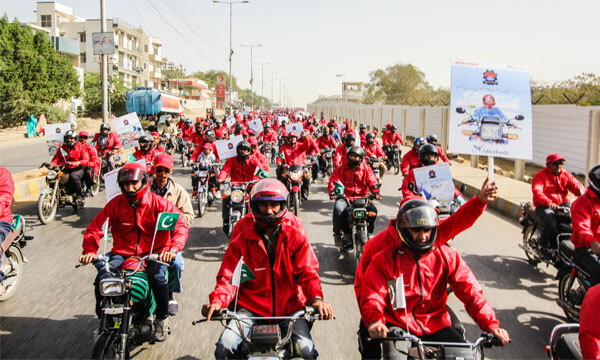 All participants were provided red caps, red jackets and Pakistan’s flag. Before the rally, a safety workshop was conducted. Atlas Honda’s safety experts briefed about various aspects of safe riding. The topics covered by the team included importance of license, use of helmet and side mirrors, type of brakes in a bike, how to be careful on the streets while riding with a female passenger sitting behind, tire pressure, weekly maintenance, etc. 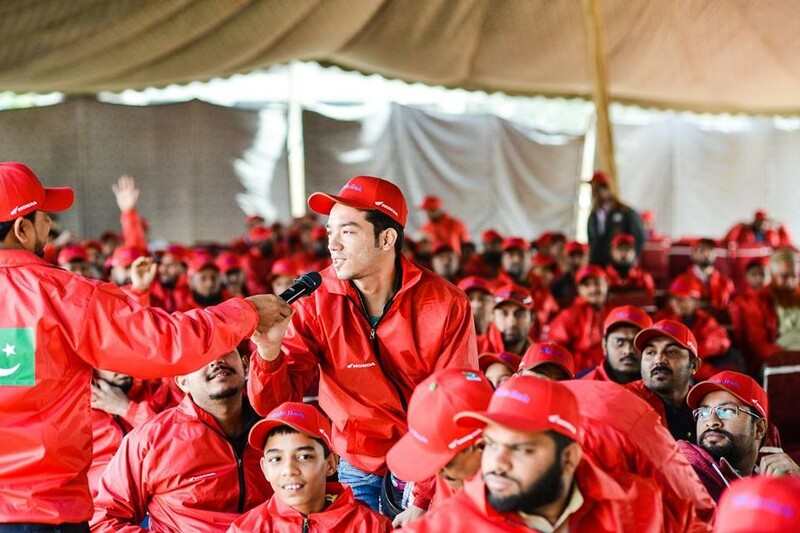 A Q&A session was also conducted in which the safety experts answered participants’ queries as well as demonstrated the right body postures for riding bikes. In the end, participants shared their experiences and what they learned from their mistakes in the past. 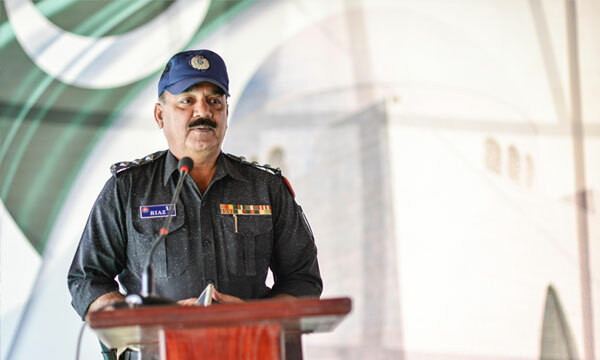 Riaz Bhutto, DSP Traffic (New Town) was the Chief Guest of the event. Meanwhile Vice President Marketing of Atlas Honda, Mr. Suhail Ahmed also graced the occasion with his presence. Both guests addressed the rally participants and congratulated them on taking part in this campaign for a public cause. While addressing the gathering, Mr. Suhail Ahmed highlighted Atlas Honda’s aim of making every man, woman, and child safe on motorcycles. He emphasized on the need of having such events with more frequency to ensure that safety awareness translates to all segments of society. The event concluded with the distribution of gifts via lucky draw. Additionally, free lunch and fuel coupons were given to all participants.